Sacredthemes represents new Coinpool to create killer landing page for your upcoming Bitcoin, Cryptocurrency business that is going to launch an ICO. Do you want to create the ICO website and ICO landing page for the launch of your upcoming Cryptocurrency? 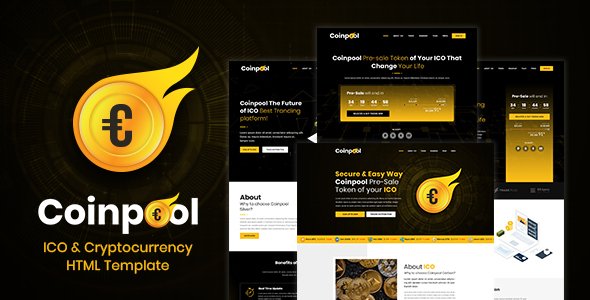 Then Coinpool is the perfect template for your ICO website. We have added a lot of modern, creative and interesting sections like Banner section, About us section, Whitepaper section, Roadmap section, Team section, Tokens with Countdown section, News/Blog, Amazing animation on banner to attract your investors/buyers.